OUR AUSTRALIAN OFFICE IS MOVING! At ReSound, we have built and will continue building a company you can rely on with superior products, services and support to achieve your objectives in the most effective way. Our focus is to provide you with a best in class service, and that means having a best in class facility in which we can do this. 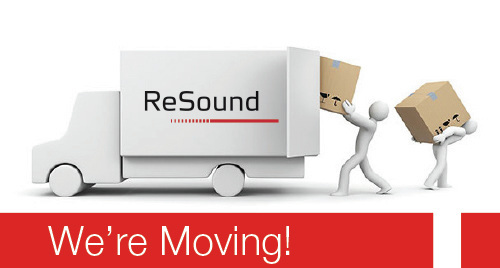 As such we’re excited to announce that in Sydney Australia…We’re moving! The important contact details are listed below. Feel free to contact us if you have any queries. BTE, ITE and ear mould repair orders received and processed as normal. ITE, ear mould & repair orders received and processed as normal. BTE orders received by 11am will be processed the same day. Orders received after 11am will be processed on Monday 14th September. Unfortunately due to Telstra requirements all phone services will cease at 4pm. Fully operational and business as normal from our new premises. From 14th September 2015, we will be located at the below details. Please ensure you update our new details in your system.